Progress Lighting Madison Collection Pendant light in gray color, has steel construction for added strength and durability. It includes mounting strap for outlet box, one 9-Inch and three 12-Inch stems. 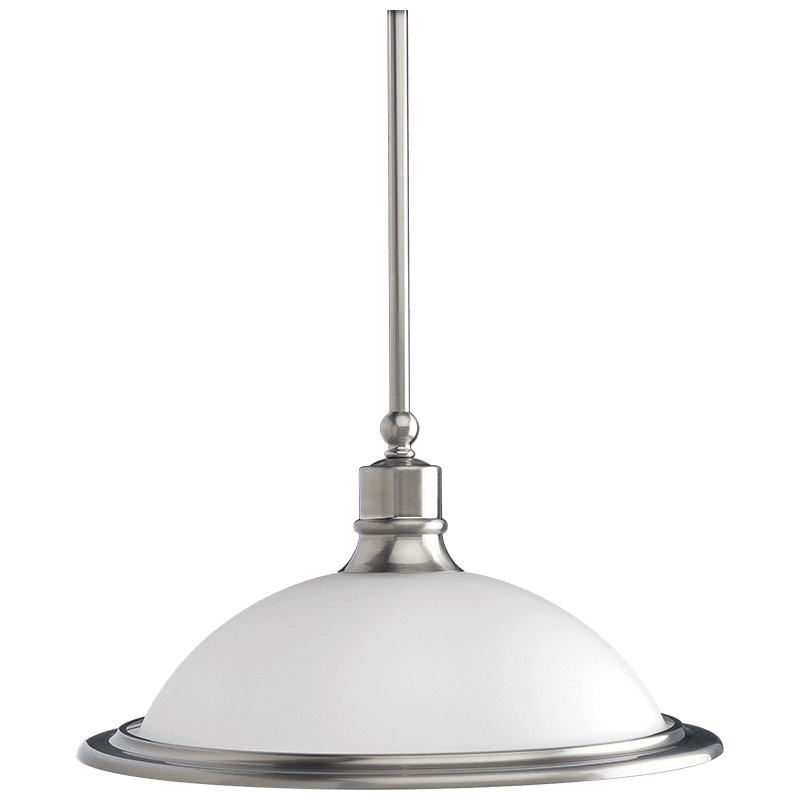 The light in brushed nickel finish, is ceiling mountable. It features an etched glass bell shaped shade. It can accommodate one 150-Watt incandescent lamp. The medium ceramic socket light measures 15-3/4-Inch Dia x 8-3/4-Inch. It has a voltage rating of 120-Volts AC. It is suitable for use in dry locations. Pendant light is UL/cUL listed.